When you are out shopping this holiday season, why not treat yourself to a new recliner. 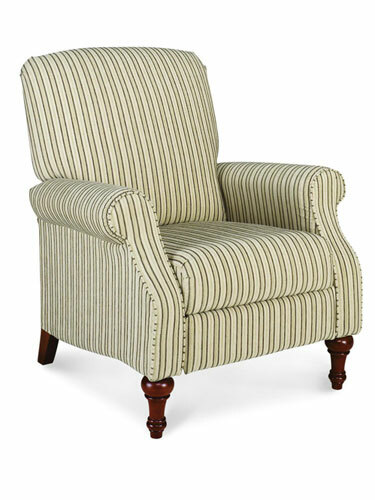 After hours of fighting crowds of shoppers and standing in line, wouldn’t it be nice to know that there is a comfy chair waiting for you at home? Some of the best recliners this season are sleek, stylish, and comfortable. 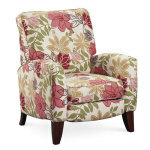 Available in a wide range of fabrics and colors, these recliners make the perfect addition to any room. Not only can you relax in one of these stylish sliders after shopping, it is also the perfect chair for watching the Super Bowl. This season features recliners that are sleek, slim and designed for smaller spaces. The bulky features and overstuffed padding may have been replaced by sleek lines, but these new recliners are still incredibly comfortable and supportive. One thing you will notice is that the new recliners all feature distinctive patterns that are designed to stand out. Here are our favorite recliners to relax in this holiday season. 1. La-Z-Boy has been one of the leading manufacturers of quality furniture for years, and the stylish Raleigh recliner is no exception. 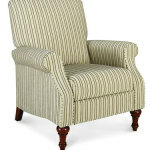 The classic design is elegant, and the neutral colored fabric helps to highlight the beautifully carved wood legs. The subtle lines on the upholstery give the recliner a sophisticated appeal that will blend in with your other traditional style furniture. 2. 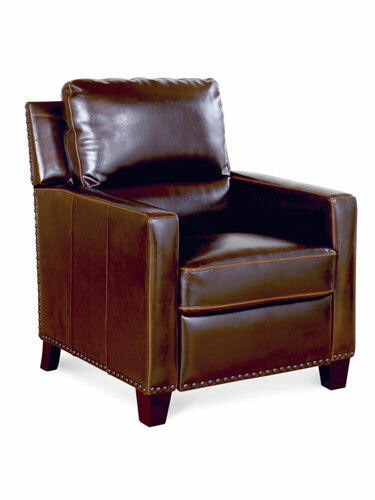 If you love the look and feel of leather, then this retro styled recliner might be just what you are looking for. The distressed leather upholstery is soft to the touch, and gives the chair a welcoming feel. The exposed brass nails are stylish and elegant, and make the recliner a perfect fit in any den or living room. 3. One of the most popular styles for recliners this season is bold floral upholstery, which can give almost any room a hint of elegance and sophistication. The sleeker designs of the recliners keeps the floral fabric from becoming to overpowering, and when it is combined with wood accents it can be a stylish addition to any room. 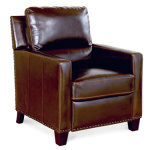 There are several different brands of recliners that we love, but one of favorites is manufactured by Lane. Featuring wood details and a sleek design it can make the perfect addition to your family or bedroom. 4. 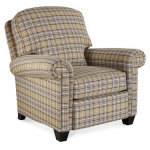 Not every recliner this year features a slim design, and this comfy one from Broyhill is the perfect example. It will still fit into smaller spaces, but it also has the overstuffed look that some people love. 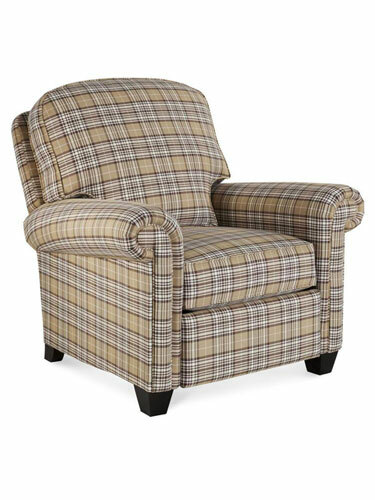 Along with being incredibly comfortable, this recliner also gives plaid a fresh new look. Instead of looking cheap or dated, the subtle colors give the plaid a classic look that blends beautifully with all of your existing furniture. No matter how busy or hectic your holiday season is, you can always sit back and relax in one of these stylish recliners. Not only can you comfortably watch the big game in one of these chairs, you can also add a touch of elegance and style to your living room. Why not treat yourself this holiday season to a sleek, new recliner? 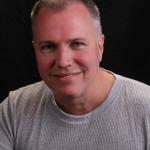 Previous ArticleAre Squeaks and Creaks Keeping Your From Enjoying Your Rocker Recliner?